"The tragedy in Haiti has shocked the world, but brought out the best in nations as we work together for one common goal: to save lives. As the situation evolves I’ll continue to update my website with information from the State Department. "At home we also have problems, national unemployment remains steady at 10% (California is even higher), a number that is double what it was in 2008, To help change this trajectory, Congress needs to focus on jobs. "Last week in Sacramento, another oil severance tax was proposed. This tax will hurt businesses in Kern County, cost jobs, and increase our reliance on foreign oil. With 12.3% unemployment in California, this is the last kind of tax the state needs. Unfortunately, DC is learning all the wrong lessons from California. This is why my colleagues and I are focused on solutions that are a part of a no cost jobs plan. Look for a column next week that will lay out this plan. "An essential part of any plan to improve our business climate is cutting harmful government regulation – last year it is estimated that over 100 new burdensome regulations were established by the Obama Administration. During a time of economic downturn it does not make sense to impose new regulations that hamper job creation. "Another example of regulations hurting our local industries is found in our state's water situation. Farm communities are experiencing unemployment rates as high as 40%. Democrats continue to block efforts to get water to the valley, keeping needed water from our farms and hurting job creation. We need to find solutions that bring water to our farms. But a long-term fix is essential, including a peripheral canal that will bring needed water to our local communities. On Monday Jan. 25, I will be in Fresno for a hearing on our water crisis, and I hope the Administration officials who were invited attend and provide answers on why they are blocking potential solutions, including the Two Gates project they’ve reportedly shelved. 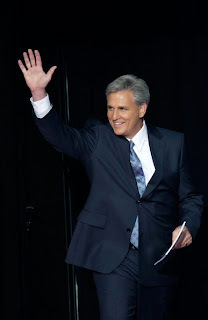 "In the health care reform debate, there continues to be a divide among Democrats. Both House and Senate Democrats continue to meet in secret to negotiate the final version of the bill. When then Senator Obama was campaigning, he promised Americans transparency. Instead, all Americans have seen are closed door deals. My colleagues and I are fighting back. We want the transparency America was promised. We are asking all members of Congress to sign a discharge petition (needing 218 signatures) forcing a vote on a bipartisan resolution requiring the health care reform negotiations be open to the public and media. "At the end of the week I introduced a new bill (H.R. 4449) to increase states’ online voter registration services. In an era of unprecedented technology, it is important that the systems we use to elect our officials stay up-to-date. "As usual, I am home in Bakersfield for the weekend, but this weekend is extra special because my mom is getting married!" - It was interesting to watch former Bakersfield Congressman Bill Thomas back in action yesterday grilling the nation's top bankers as a member of the Financial Crisis Inquiry Commission. The New York Times referred to Thomas as the "cantankerous former congressman" from California and his rapier-like intelligence was on full display during the session that was featured live on CNBC. - I found interesting to read that one of the plaintiffs in the gay marriage case before federal court, Kristin Perry, grew up in Bakersfield. Both the San Francisco Chronicle and San Jose Mercury have noted how Perry had to hide her true feelings during her upbringing in the conservative Central Valley. Growing up conflicted about your sexual identity is hard enough, and I'd love to hear more about Perry's experience here. Perry and her partner now live in Berkeley. * ... SPCA FUND RAISER: I dropped by the local SPCA on Gibson Street again the other day (donating some hard cover books for its spring book sale) and was asked to pass along some information on an important fund raiser next month. I am always impressed by the dedication of the staff there, and it's nothing short of heart breaking to see the hundreds of unwanted dogs and cats awaiting adoption. While I was there one young woman brought in a sweet black female lab she found in her Rosedale neighborhood, and I wondered if she was lost or simply discarded by someone who lost his job. So if you are looking for a good cause to support, consider attending "Furry Paws and Foggy Nights" from 6 p.m. to 10 p.m. at the Petroleum Club on Friday, February 19. It's $85 per person (you must RSVP by February 12) and includes dining, music and silent and live auctions. The SPCA is looking for sponsors and folks to donate auction items, so consider helping this worthy cause. Want to help? Call Chuck Nordstrom at 323-8353, extension 10. * ... HAIL! TO THE VICTORS: Just when I thought I'd heard the last from local Ohio State Buckeye transplants came two notes from local residents Daniel A. Nichols and Mark Smith, arguing it was time to hear from Ohio State arch rival Michigan Wolverine fans. "Most of my father's family is from either Ohio or Michigan, so it usually splits up the family for the Big Game," said Nichols. "I bleed Maize and Blue (University of Michigan colors) and I am sure there are a lot more Wolverine fans out here in Bakersfield. I hope some decide to speak up for the cause. Go Blue!" Smitty (as he asked to be called) agreed, adding he grew up 10 miles from Ann Arbor and learned from a young age to support the Wolverines. "Enough with the Buckeyes already! How about finding out about some displaced Wolverines located to beautiful downtown Bakersfield!" Out of loyalty to my own daughter who is a sophomore at Michigan, here's to the Wolverines. * ... THE BUZZ: Mike Allen, who left the Spanish radio group after 30 years recently, has landed at crosstown rival American General Media to spearhead a new drive to grow the Hispanic radio audience. Allen, a fixture on the local radio scene, lost out in a management shuffle and later resigned. His new position will put him in direct competition with his old employer, Lotus Broadcasting. Rogers Brandon, president of AGM, said Allen would serve as Director of Business Development for the group's Hispanic stations in both Bakersfield and Santa Maria. That means he will oversee sales for KEBT-FM La Caliente, Bakersfield's premier Hispanic station, and all special events for both KEBT-FM and KRQK-FM La Ley, the Central Coast's leading Latino radio station. Allen had been general manager at the station for over 30 years prior to his departure. A local church group that spent 10 days in Haiti building a medical clinic is trying to return to provide assistance after the devastating earthquake. The problem: they have a short window to get there and are looking for use of a private jet. Evan Evans, manager of a local Allstate Insurance office, told me that a small group from the Olive Knolls Church of the Nazarene was trying to return to help. He said one church member, emergency room Dr. James Rosburgh, was off the next 10 days and could devote that time to helping in the recovery. "We're looking for someone with a corporate jet to get us there. We have to do it within 10 days so our ER doctor can get back to work" at Mercy Hospital. Members of the church spent 10 days in Haiti last November, building a clinic. Evans said the one-way flight is 2,700 miles. "Our group already has our passports and shots, so we are ready to go." If you are interested in helping, call church Pastor Rob Songer at 661-345-4770. It appears one of the plaintiffs in the drama being played out in federal court in the gay marriage lawsuit is from Bakersfield. According to the San Francisco Chronicle this morning, Kristen Perry grew up in Bakersfield but now lives in northern California. Perry, 45, and her partner Sandy Stier, 47, live in Berkeley and are plaintiffs in the lawsuit challenging Proposition 8. According to the Chronicle, Perry "grew up in Bakersfield, the heart of California's Bible belt. She knew she was different in high school but dated boys to 'make life easier' and so she could go to parites.?" To read the full Chronicle story, click on the link here. A photo of Perry and Stier is linked to the Chronicle story. * ... BIRTHDAY FOR STOCKDALE: Stockdale Country Club is getting ready to celebrate its 85th birthday next month, a milestone that deserves some recognition. Club tennis pro Hank Pfister told me the club's history is a fascinating reflection of our community, starting when Lloyd Tevis and partners Ali Haggin and William (Bill) Carr formed the Kern County Land Company in 1890. In 1896, according to Pfister, William Tevis (son of Lloyd Tevis) purchased the land on which the club now sits and built a 9,000-square-foot mansion on the site. Lloyd Tevis later developed a nine-hole golf course on 300 acres, using the mansion as the club house, and opened the club for public play on February 18, 1923. Original dues were just $5.50 a month or $1 for a round of golf. In 1925 Lloyd Tevis sold the property to a group of investors who formed the Stockdale Holding Company and began what is now the private Stockdale County Club, thus the 85th birthday. And as Pfister said, "now you know the rest of the story." * ... BAKOBOB SHOUT OUT: All this good natured banter over whether the term "Bako" is an appropriate nickname for our town is old hat to Robert H. Brumfield III, a local attorney specializing in real estate and business law with Kronick, Moskovitz, Tiedemann and Girard. Turns out Robert not only embraces the term "Bako" but also uses it on his personalized California license plate called "BAKOBOB." And he's had the tag for a full decade. That's what you call an early adopter. * ... KARPE IN AT TERRIO: It looks like Ray Karpe, until recently the president of Karpe Real Estate, has landed on his feet as the new chief operating officer of Terrio Therapy-Fitness, Inc. Owner Tim Terrio told me that his business had grown so quickly these last few years that he needed a right-hand person to help him "continue to grow, but grow responsibly. I'll continue to do the vision and program development and Ray will run the operations. I couldn't pass him up." Karpe ran the company bearing his family's name until he had a falling out with his father, Bob Karpe. He told me he's anxious to get started and is looking forward to his new career. Terrio now has 12 locations, including one in Fresno, with some 150 employees. * ... HISPANIC RADIO: The Bakersfield-area radio ratings for the Fall are out and - no surprise - reflect the growing influence of the local Hispanic market. The perennial winners continue to dominate the primary market, with American General Media's Rhythmic station Hot 94.1 continuing as the market leader by a large measure. AGM also has the leading Hispanic station in town with La Caliente 96.9 FM. Country icon KUZZ held its own and was in a respectable second place in the survey. The Hispanic influence in our market is interesting - and impressive. Latin heavyweight Piolin por la Manana is the leading morning host on the dial followed by Hot 94.1's Romeo and KUZZ's Steve Gradowitz. * ... FOUNDATION SEARCH: I'm told the search for a new director of the Kern Community Foundation is entering its final stretch. Apparently finalists for the job were interviewed last week by the Foundation Board and chairman Judi McCarthy. We could know something as early as later this month on who will succeed Fred Drew, who left several months ago when things didn't work out. Meanwhile, the Foundation said it passed a "philanthropic milestone" on Dec. 31 when giving topped $6 million. Last year, the Foundation awarded $999,123 in grants, not bad for a group that was established in 1999. * ... MORE BAKO BUCKEYES: I goofed last week in noting that Dianne Hoover is among the growing list of local Ohio State Buckeye fans. She is a Buckeye fan, but I identified her as head of the "county" recreation and parks department when it should have been the City of Bakersfield. Mea cupla. Meanwhile, local resident Kelly Traut shot me an email saying she and her husband Tom are huge fans of Ohio State, having moved here from Perrysburg, Ohio, in 1991. Both graduated from the University of Toledo and moving west has allowed them to attend several Rose Bowl games. "To echo Dianne Hoover's comments, we always have Buckeye candy in our house, especially during football season and over the holidays. The candy really does look like the nut of the tree. My uncle had several Buckeye trees in his yard and he gave me one of the nuts 'for luck' the day I graduated from high school. I still carry it with me every day." Lastly, while both have relatives back in Ohio, she said "we do not regret living here. California, and Bako in particular, have both been good to us." 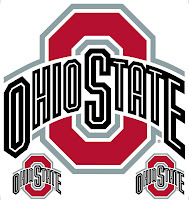 * .. BUCKEYES AT THE FIRE HOUSE: I also heard from city of Bakersfield firefighter Patrick Caprioli who told me of no fewer than five Ohio transplants who are either retired or active city firefighters. He identified the two retirees as Capts. Jim Lucas and John Nagle and the three current ex Ohioans as Jim Adams, Noe Reyna and Caprioli himself. "Every year we adorn our Christmas trees with California palm trees and Ohio State Buckeye ornaments. Loyalties run deep. As a child I grew up thinking that everyone was a Buckeye fan, the season game against Michigan was a state holiday, that Archie Griffin was the greatest running back of all time and that one day Woody Hayes would earn saint hood. As an adult I know better ... the Michigan game should be a state holiday, Archie Griffin and his teammates earned the Heisman Trophy twice and Jim Tressel should receive sainthood. Go Bucks!" * ... MUSIC AT THE MUSEUM: Let's face it: 2009 was a miserable year by almost any standard, and we're all hoping this one will be much better. Why not start this year by doing something positive, like enjoying some fabulous music, wine and hors d'oeuvres this week at the Bakersfield Museum of Art, all to support the Henrietta Weill Child Guidance Center. On Friday, New York pianist Louis Landon will perform (his range is from classical to jazz) starting at 7 p.m. Tickets are $75 in advance and $80 at the door, with hors d'oeuvres by Cafe Med. You also get to view the museum's "From Hobos to Street People" exhibit which is simply tremendous. Call 661-322-0121 for tickets.